Having a baby is a huge task, and anyone who has been there can attest to the fact that there is a ton you have to do ahead of time to prepare - and many times more to keep up with after. Thankfully, there are many resources to help out, like books and magazines, but something a bit more interactive would certainly help things go even smoother. 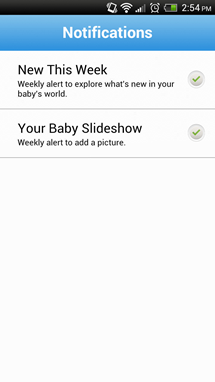 Enter WebMD's new(ish) Baby app, a comprehensive guide that compiles and organizes the relevant information from WebMD's absolute plethora. The first time you start up the app, you're prompted to login. 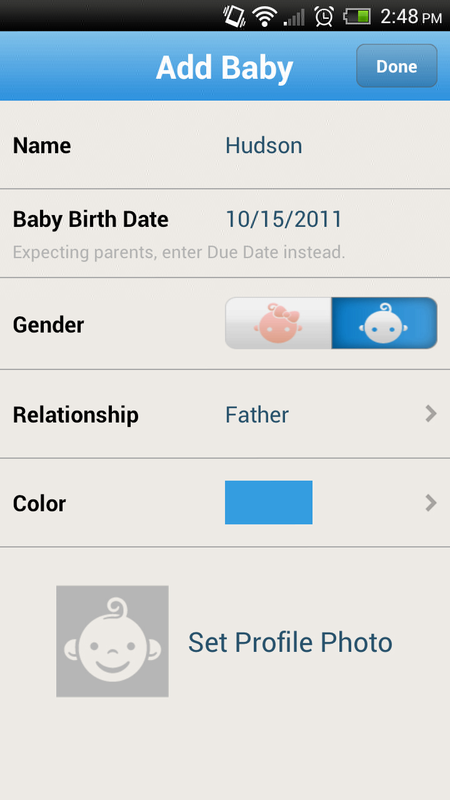 Once you do so, it asks you to add information on your baby. 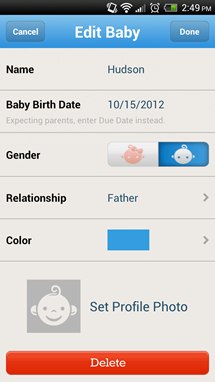 Awesomely, the information changes based on your child's age. 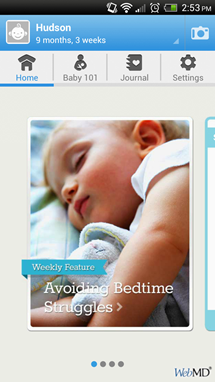 When I (incorrectly) entered the birth/due date of October 15 2011, the first information card to appear was on avoiding bed time struggles (above). When I corrected it to October 15 2012, the cards changed to those intended for expecting parents (below). Very handy, and something that ensures the app will continue to be useful for quite some time to come. 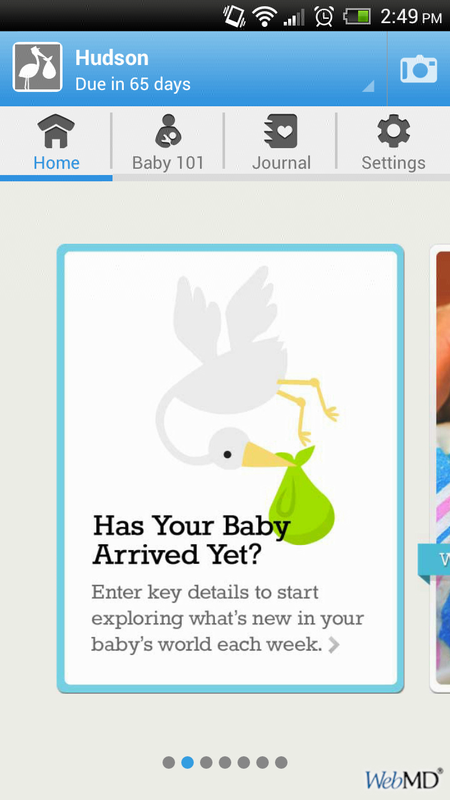 It also keeps a count of how many days until your baby is du--Oh god I still need so much. 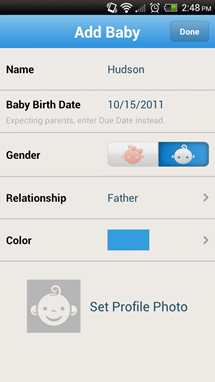 The app also includes a "Baby 101" section loaded with informative categories and various journals (feeding, sleep growth, etc). 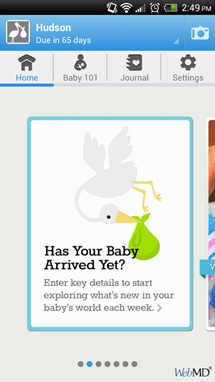 In sum: it's a truly fantastic jack-of-all-trades app for those who are expecting or have newborns. Given that it's free and requires nothing other than a (free) WebMD account, there shouldn't be anything holding you back.